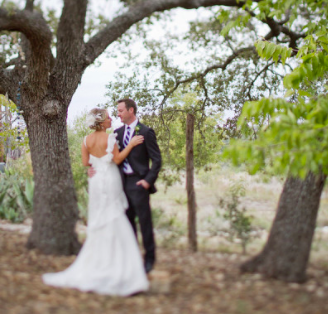 Sage Hill Inn is the best kept secret for hill country wedding celebrations. What better way to bring family and friends together for such a joyous occasion! From the Garden Spa’s pre-wedding spa treatments, to Chef Autumn’s customized menu planning, not to mention beautifully appointed guest rooms, Sage Hill creates an intimate weekend to remember! The grounds provide ample space for guests to spread out, relax and enjoy…whether sangria poolside, gathering ‘round the fire pit, playing a game of horseshoes or kicking back in the hammock, Sage Hill Inn ensures your guests will feel special, comfortable and happy. Give us a call or come see us and we will plan your special day to tie the knot at Sage Hill Inn! The beauty about this place is that it's not just a unique space in itself, but it's a full-service catering space as well, and the food is incredible. We worked / developed a relationship with them from these wedding venues over the course, and nothing is out of reach. My go to florist for everything. Was a line during the cold valentine’s day weekend (got my flowers) but it's to be expected. They work hard to Deliver Flowers and diligently through it all.